I think my wallet just shat itself. While I'm not sure what kind of coinage that equates too, the news that Valiant Entertainment are launching six new titles amongst their current all-class line, means my budget is going to be faced with a simple ultimatum. Expand or bust. 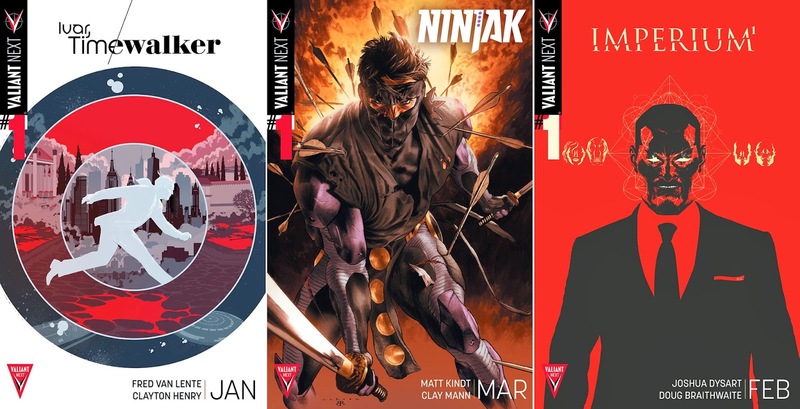 Realising that 'food' is highly overrated, here are four of the series named as part of 'Valiant Next' that will soon be replacing the grocery list for this comic-fan-Dan. At the height of the Cold War, the Soviet Union -- determined to win the Space Race at any cost -- green lit a dangerously advanced mission. They sent a man farther into the cosmos than anyone has gone before or since. Lost in the stars, he encountered something unknown. Something that...changed him. Long thought lost and erased from the history books, he has suddenly returned, crash-landing in the Australian Outback. The few that have been able to reach him believe him to be a deity --- one who turned the scorched desert into a lush oasis. They say he can bend matter, space, and even time to his will. Earth is about to meet a new god. And he's a communist. MY THOUGHTS While Ninjak is the decades most overdue series, and the 'must buy' of the group, seeing Dysart's amazing work on Harbinger expand with Imperium is wicked and the fact the series aims to up the 'evil' quota of the Valiant U makes it even more so. Timewalker seems a decent match for Van Lente (hey, when isn't time-travel fun? 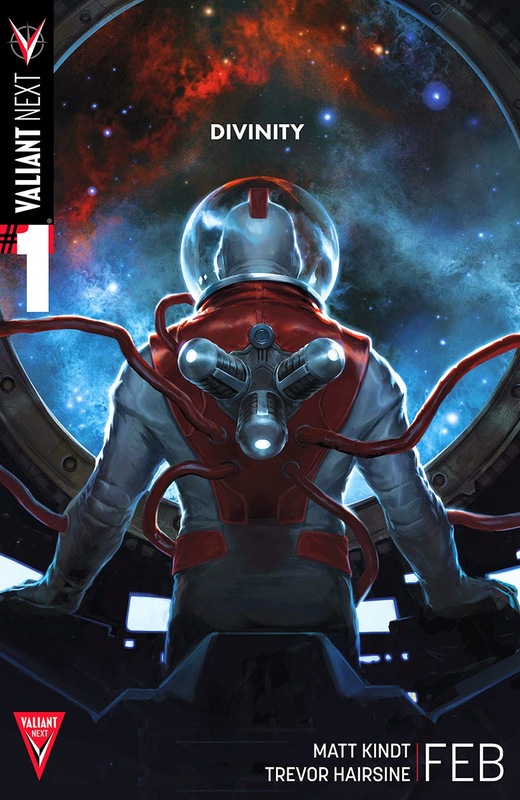 ), and Divinity looks to fill the black hole left by the absence of Solar in this 'Valiant Universe', that of a super-powered deity, but in a twisted, far more richer way. WAIT THAT'S ONLY FOUR, WHERE'S THE OTHER TWO? The last two pieces of the puzzle are for another post. One is a project that I have been quietly having my fingers crossed for for a fair few months now, and seeing it named is something I need a decent amont of space to gush over. That and the preview art is astounding! Deity's got the most appeal to me. Ever since I finally sat down and watched 2001: A Space Oddessy, those years where David explored the other side of the universe and what he saw, has always intrigued me. This is probably like that story. I'm sold. Good call Dale - for me it is great to see Valiant also expanding the original character list to their reborn universe. Great stuff!